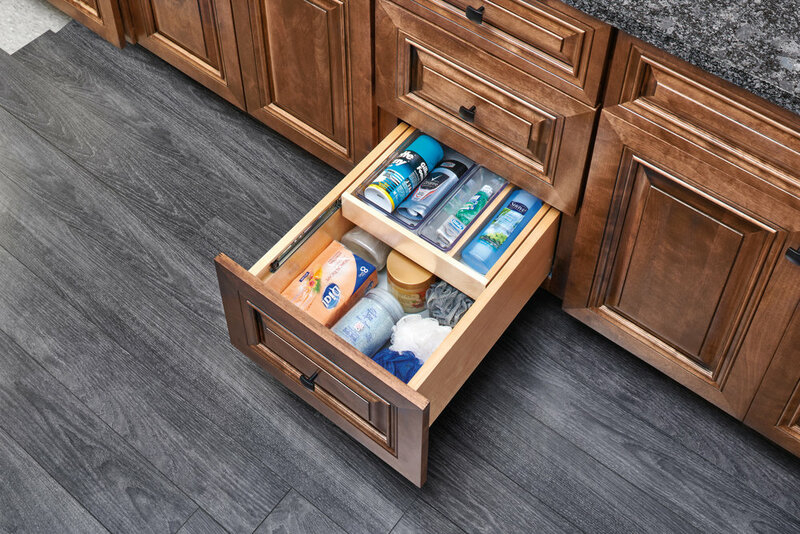 Designed for 12”, 15” and 18” vanity base cabinet drawers, these complete drawer systems feature maple construction with non-skid vinyl lining, BLUMOTION soft-close slides and easy installation while including up to seven storage compartments and up to five acrylic bins for customizable storage at your fingertips. The 4VDOHT Series features a half top tray while the 4VTDOT Series features a full top tray; both glide back on ball-bearing slides to give complete access to the drawer below. The 4VDO Series is a single drawer without a top tray. *Units also available without soft-close slides.